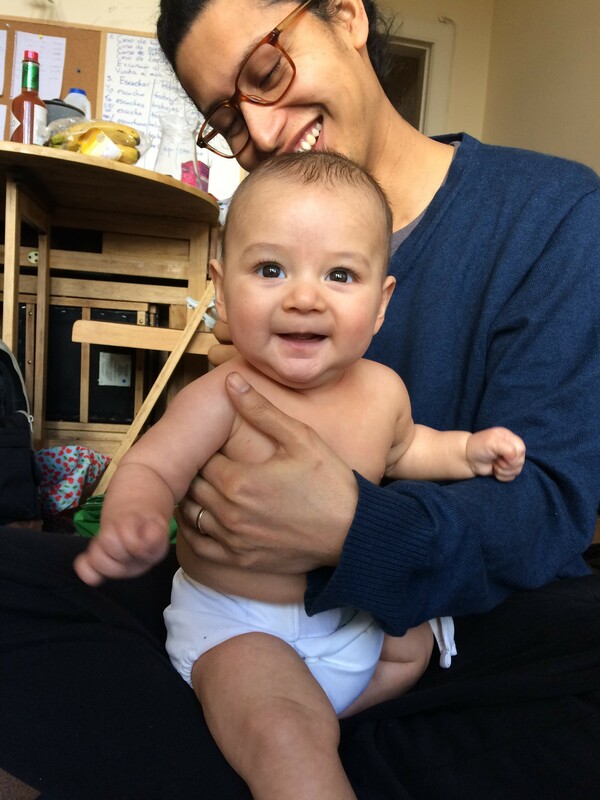 Meet Jonathan and Idris, one of our lovely TotsBots Dads telling you what he has discovered about using reusable nappies and what he found surprising. *For those who don’t know, or are yet to experience such a thing, a Poonami is the technical term for a monumental infant bowel movement of such quantity and force that no (disposable) nappy stands a chance of containing it, resulting in a disastrous, dry heave inducing, up-the-back-mess. Fortunately, TotsBots reusable nappies save you from such disasters, containing even the mightiest of Poonamis. For Jonathan, choosing reusable nappies that are made close to home was a major influencer in their decision of which nappy to try, and thanks to our superstar EasyFit nappy he found Totsbots was the perfect fit for Idris ‘’We love the EasyFit STAR because they are incredibly absorbent (often 5 hours with no leaks) and getting the fit right is so easy.’’ What he finds surprising too is their friends and family love how beautiful and fun the nappies are as well as finding them really easy to use too. So there you go, the in-laws will have no excuse not to help out with the nappies! We’re sure, just like Jonathan and his friends and family you’ll find our reusable nappies just as easy to use on your little one. If you’re looking for more tips and advice on using reusable nappies check out our simple little videos where we show you how easy they really are. For more advice on choosing and using reusable nappies watch our little How to movies here.